Many of us didn't major in engineering. Or computer science. Or math. But that doesn't mean we're all destined to eat ramen for the rest of our lives. If you just graduated college with a degree in the liberal arts, there's good news for you. 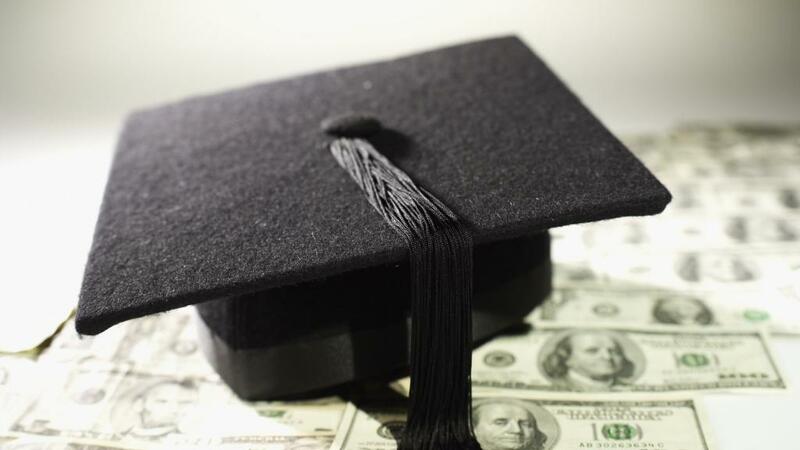 First of all, average salaries for new college graduates are at an all-time high, according to executive search firm Korn Ferry. The class of 2017 will make an average $49,785 annually, it said. That's up 3% from last year. We know that your choice in major certainly matters. Yes, grads with science, technology, engineering and math degrees are on a fast track to a big paycheck. The five highest-paying fields analyzed by Korn Ferry are in the STEM fields. Entry-level engineers can expect to earn $63,036 on average. But that doesn't mean liberal arts majors can't get there. Your career choice also plays a big role in how much you earn, and for liberal arts majors, career options are pretty broad, according to a new report from The Hamilton Project at the Brookings Institution. Ryan Nunn, an author of the report, said he was shocked to see just how much variety there actually is among people with the same major. The most popular occupation for people with degrees in communications is a manager in marketing, advertising, and public relations. They actually do earn above average, with a median salary of $56,000 for 25- to 34-year-olds. But that kind of position is held by less than 5% of those graduates, according to data from The Hamilton Project. And sometimes a liberal arts major needs another degree to get ahead. More than 5% of those with a degree in English or literature make a median salary of $69,000 before the age of 34 by getting their law degree and becoming lawyers or judges. They're earning nearly $140,000 by the end of their career. Broke No More: How can I pay off my student debt and still have a life? Psychology majors end up in a number of different fields, like teachers, social workers, counselors and, of course, psychologists. Those who become psychologists start out earning the most -- about $49,000 a year -- and end up making about $80,000 by age 34, though nearly all of them have an advanced degree. The most popular occupation for psychology majors is a counselor. About 8% of them go into that field, but they start out making a median salary of just $37,000. Your job can explain up to 25% of the variation in earnings within the same major, the report said. Take the often criticized philosophy major. About 1.2% of them will enter the corporate sector and become management analysts earning a median salary of $72,000, while the 8% who become college professors earn $51,000. "There's a lot of variety across majors, but STEM majors do have a more clear path to the higher paying jobs," said Nunn. Are you starting your first job? We'd love to hear about how you landed the gig and how it's going. Share your story by emailing Katie.Lobosco@cnn.com.